There are plenty of puzzles ranging widely in style and difficulty, but this game is fondly remembered more for its absurd style and humour, striking orchestral scores and unique visual aesthetic. Delightfully whimsical animations abound, making great use of the creative freedom such a pliable medium allowed its designers. The game was released at a time when good FMV cinematics were still a breathtaking thing to behold, and while we may be beyond that initial awe, the cutscenes here still hold up to this day, with delightful pacing and gags. To anyone playing the game for the first time: eat the fruit from the tree. Eat a bunch of them. Your inner child will be rewarded handsomely. Even without an actual game to play, exploring The Neverhood would be a dreamlike adventure of memorable sights and sounds, but its many puzzles and wistful creation tale make it all the more outstanding an achievement. 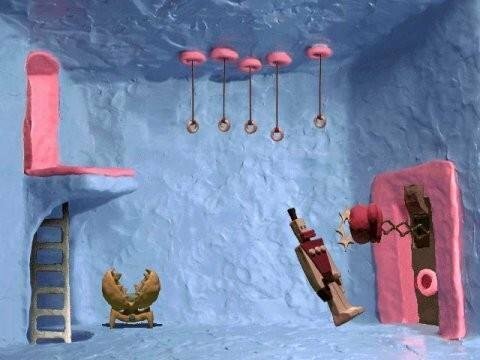 Other games have dabbled in claymation, but there’s only one Neverhood. With absolutely no exaggeration, we can safely (or not so safely, as the case may be) proclaim Frictional Games' Amnesia: The Dark Descent as one of the greatest – if not the greatest – horror games ever made. This indie adventure may be too consistently intense for some players, but if you enjoy being reduced to a quivering, whimpering nervous wreck, you’ll get your wish here. Without gore or cheap scares, without combat of any kind, Amnesia works on you slowly, building tension with patience and foreboding atmosphere, and then, when you least expect it, throwing you into the maw of danger with no defenses. It may not feature the most devious puzzles, but some brilliant use of physics makes for memorable solutions that feel natural and realistic, and just try completing them while scared out of your wits and on the run. But no one plays a game like Amnesia to solve puzzles; you play for that nightmare adrenaline rush you get from the greatest horror stories. The tale of an amnesiac protagonist’s struggle to uncover the secrets of the Prussian Castle Brennenburg isn't exactly brilliant of its own accord, but the castle is the setting for some seriously unsettling atmosphere. Distant groans and scratches ratchet the anxiety as shadowy figures flicker past in the dark until you can't take it anymore – and then they keep coming. And when you really, really can't take it anymore, the curtain falls and you're under siege from hideous, unknowable creatures that sap your life force. But careful! Hiding in the darkness may save your hide, but at the cost of your sanity, which will deteriorate until your vision is blurred and your movements impaired. So keep a lantern and a change of pants ready, because Amnesia: The Dark Descent is the scariest adventure game of all time – and it's coming for you. It wasn't a surprise to anyone when Rockstar announced that its 2011 project was heading to 1940s Los Angeles, the home of classic hard-boiled noir films and novels. But it was a surprise to hear that the game would minimize much of the running, gunning, and mischief of Grand Theft Auto and instead focus on exploration, clue-gathering, interrogation, and puzzle-solving. Why... it almost sounded like – could it be? An adventure game? 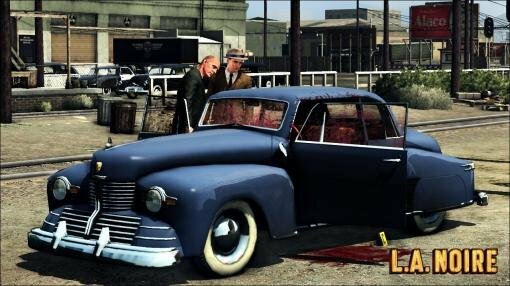 Yes, it turned out that L.A. Noire became one of the most expansive, immersive, and enjoyable adventure games ever made. What begins as a series of unconnected cases turns into a brooding and complex tale of corruption, deception, and temptation that takes some rather unexpected turns. There are still some gunfights and car chases along the way, but many are optional and take a distant back seat to the gritty investigative gameplay. The game stars Aaron Stanton (Mad Men) as war-hero turned LAPD gumshoe Cole Phelps, along with a host of wonderful character actors who bring a depth to their roles not usually seen in gaming. The gameplay transitions smoothly from driving around a massive, historically accurate recreation of ‘40s L.A. to intricate exploration of crime scenes to intense shootouts and even more intense interrogation. The interrogations are the definite highlight, featuring Rockstar's revolutionary facial capture technology. What other game forces you to scan characters' expressions for facial tics and other tells that signal lies? Even more impressive, the game managed to forge its own identity while still touching on all of the themes and motifs you'd expect from a detective mystery of that era. Bringing together the best of Grand Theft Auto, interactive movies, old-school adventure games, and film noir, L.A. Noire is an amazing achievement that rightfully takes its place among the best adventure games ever made. The last adventure ever to be produced by Sierra, and perhaps one of the most controversial both for its themes and unique style of play, Jane Jensen's Gabriel Knight III: Blood of the Sacred, Blood of the Damned is the most ambitious installment of the trilogy. Not only did it raise some highly contentious topics years before a certain Dan Brown, such as the possibility of the Holy Grail really being an allegory for the womb of Mary Magdalene, it also sought to reinvent the genre by putting players in direct control of the camera in a fully 3D environment. This feature allowed for an unprecedented amount of free exploration, though the success of the actual implementation is still a question of debate among adventure gamers. What matters the most, however, is that even with a final cliffhanger that was clearly meant to be resolved in the next (as yet still unmade) chapter, this game is a masterpiece of interactive storytelling, a compelling example of what could still be achieved in a genre that was rapidly dwindling by 1999. The mesmerizing story of hidden secrets and mysteries, of blood and power, vampires and Templars, of lies that date back to ancient Egypt and earth-shattering truths about the progeny of Christ, features a solid cast of intriguing characters, all with an agenda of their own, and perhaps the best over-arching puzzle ever seen in an adventure, the multi-faceted Le Serpent Rouge. 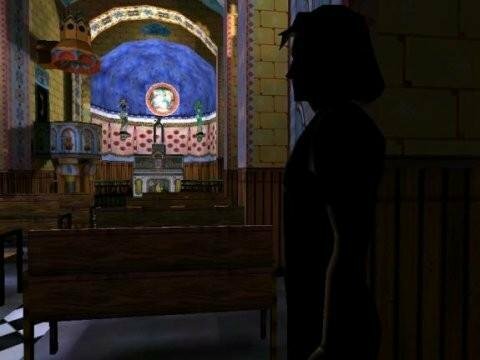 Even if a troublesome development history somewhat hampered the final product, as is occasionally evident in some ill-conceived design choices, the third and for now final chapter in the Gabriel Knight series remains one of the crowning storytelling achievements of all-time. 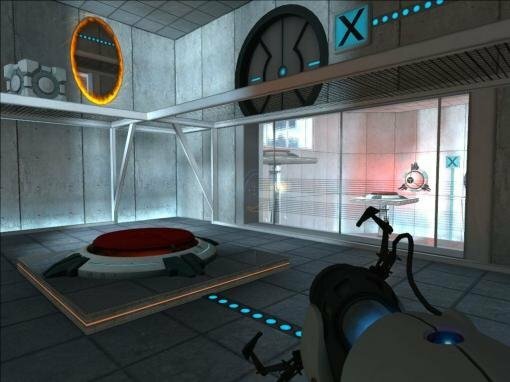 When Valve released The Orange Box, the inclusion of Portal almost seemed like an afterthought to the high-profile shooters it was bundled with. It wasn’t until we played through the short but sweet first-person physics puzzler that we realized this “afterthought” was arguably the best part of an already impressive package. The game features a simple enough premise: a silent protagonist finds herself in a series of mechanical test chambers with no clear goal except to reach the end. The only tool at your disposal? A unique gun that fires coloured portals instead of bullets, allowing you enter one and exit the other to surpass seemingly impossible obstacles. This completely different approach to puzzle design provides some of the most original challenges the adventure genre has seen in the last decade. If you dare to consider it an adventure – and we do, albeit a whole different type of adventure than any other. As clever as its puzzles are, it’s the writing that makes Portal truly spectacular. The insane computer A.I., GLaDOS, is one of the funniest characters in or out of a computer game. Whether training you in how to use the portal gun, taunting you for failing, or enticing you with promises of cake, virtually every line GLaDOS speaks is entertaining, yet reveals a surprisingly complex character that hints of a much darker purpose behind your captivity. The rest of the story is told simply through observation of the environments themselves. Concealed rooms in broken walls feature drawings and scrawled writings from a deranged former occupant. Cloudy windows high in the test chambers hint at hidden observers you never see. And when you finally break through to the other side and see what’s really going on behind the scenes, it’s all the more effective because you’ve earned the discovery yourself. It’s classic Valve storytelling at its best. Hilarious and unique, Portal was a surprise hit of 2007 that every adventure gamer owes it to themselves to experience. You might also like: Umm… playing it again?